Roasted Salmon and Succotash is a one pan wonder! 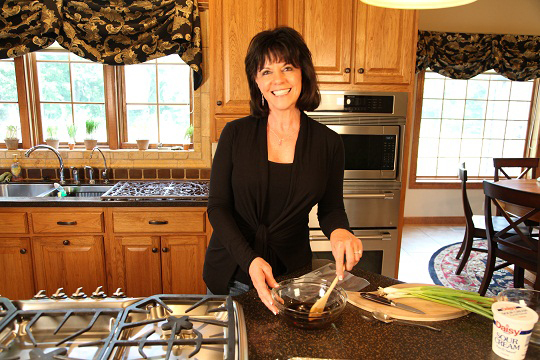 Make Life Special is all about cooking great food for your family and friends while using recipes that are quick, delicious and easy. Sheet pan dinners are just the ticket! 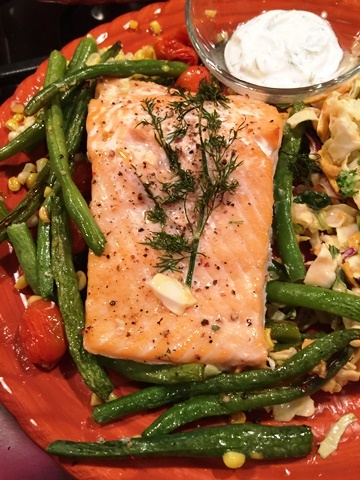 This Roasted Salmon recipe is fuss free cooking at it’s best. I don’t know what took me so long to discover this simple method of cooking but now I’m grabbing my sheet pan almost every day to roast something! I like to roast a sheet pan full of fresh vegetables every night. Roasting is a healthy way to cook and the vegetables develop a delicious caramelization that would satisfy even the most picky palate. 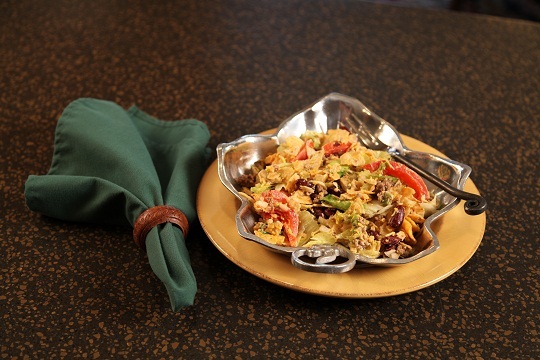 Sheet pan cooking allows you to cook your main dish and your side dish both at the same time and in the same pan. 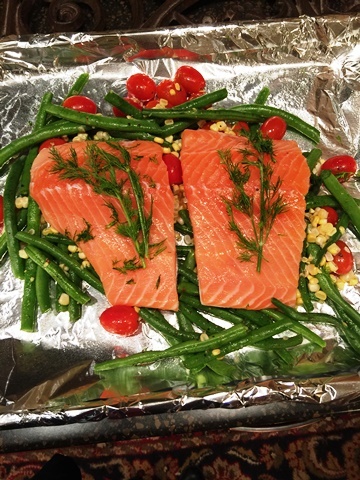 Clean up is a breeze too because you line the sheet pan with aluminum foil before assembling the recipe. Easy…breezy! 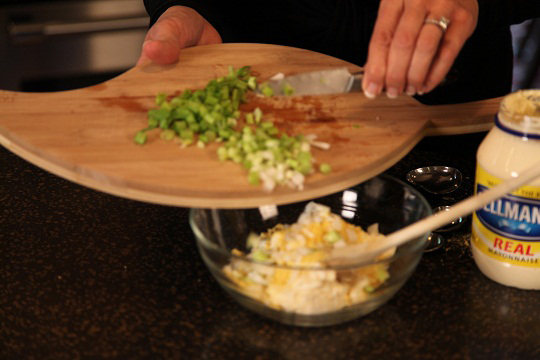 Cook your main dish and your side dish in one pan in under 30 minutes! Toss the green beans, corn and tomatoes with the olive oil and arrange on the pan in a single layer. Place the salmon in the center, skin side down; season with salt and pepper. Place a spring of fresh dill on top of each fillet. Roast until the vegetables are tender and browned in spots and the salmon is just opaque in the center, about 20 minutes. Meanwhile, in a small bowl, mix the sour cream and 1 tablespoon of the dill; season with salt and pepper. Sprinkle the salmon with the remaining dill and serve with the sauce. Feel free to substitute other vegetables in this recipe. You might try baby carrots with fingerling potatoes or broccoli florets with cherry tomatoes. Vary the vegetables to suit your taste buds! 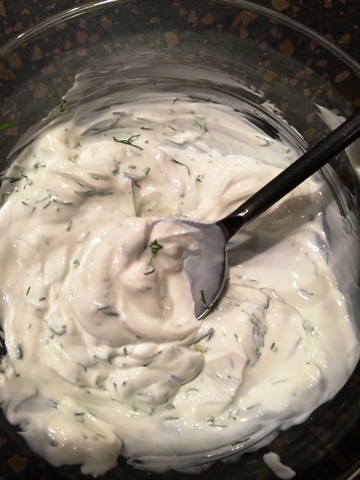 Dill Sauce for the Roasted Salmon! This sauce only has 2 ingredients but it adds balance to this dish. You can make the dill sauce ahead of time. It will keep for a couple of days in the refrigerator. Don’t forget that salmon is incredibly healthy; in fact it is loaded with nutrients and is considered a “SuperFood”. Salmon is high in protein and is a great source for omega-3 fatty acids. Check out these 11 Impressive Health Benefits! 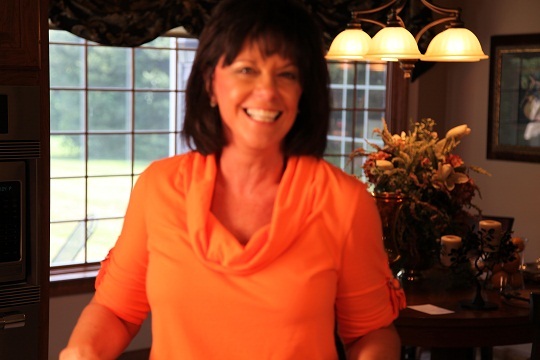 Remember….lets make life special by sharing great food with our family and friends! Enjoy! 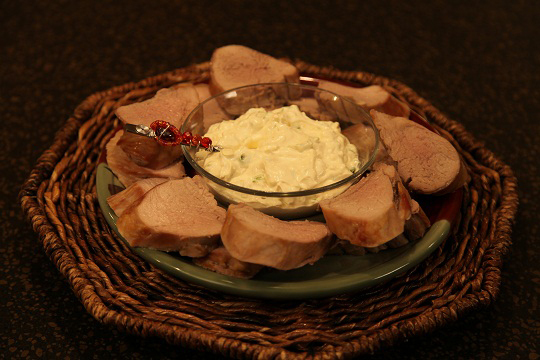 Here is a great pork tenderloin recipe and I show you step by step how to cook pork tenderloin. Have a question about pork tenderloin cooking time? Need a good pork tenderloin marinade? It is all here. 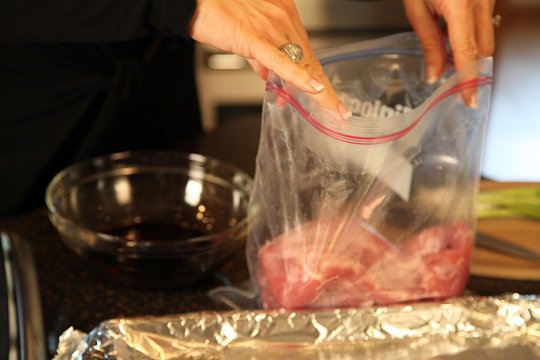 Marinating meat is so easy to do and it really gives a big flavor boost! 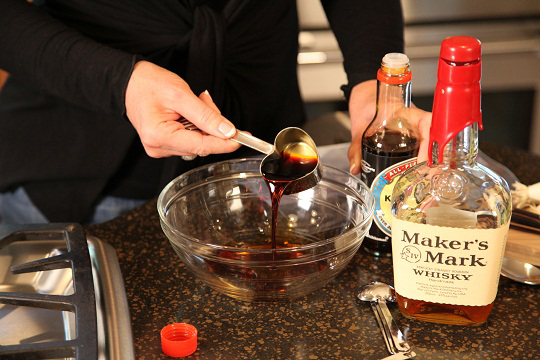 I use Kentucky Bourbon in this marinade for a real taste of the South! 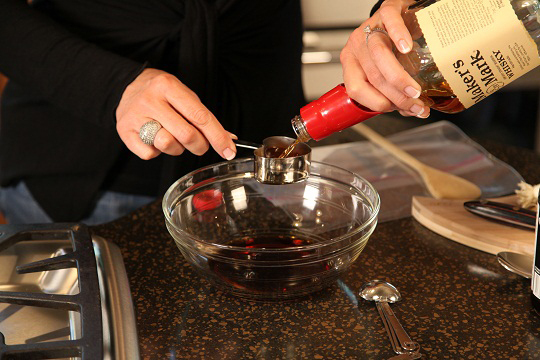 Combine the bourbon, soy sauce and dark brown sugar in a glass mixing bowl and stir to combine. Pour into a large zip lock bag. Add tenderloins and seal. Refrigerate at least 2 hours, turning the meat occasionally. While the tenderloins bake, prepare the Mustard Sauce. ( Or prepare it a day ahead so the flavors can develop) Note: The flavor is pretty intense, so if you want to tone it down a bit, just use less dry mustard. 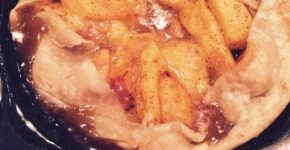 I love the flavor of this sauce, so I make the recipe exactly as I have given it here. 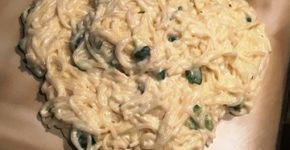 Combine ⅔ cup sour cream, ⅔ cup mayonnaise, 2 tablespoons dry mustard and 4 chopped green onion. Cover and chill. When ready to serve, slice the tenderloins and serve with the mustard sauce. 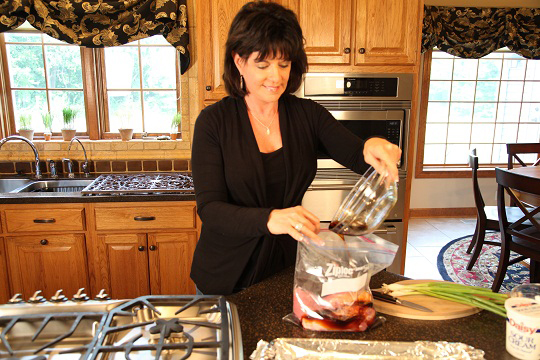 Remember to always marinate meat in the refrigerator – never at room temperature.Don’t use a metal container – always use either glass or plastic. I like the large zip lock bags the best. Also, always discard the remaining marinade after use. Marinating meat like this helps ensure you get a nice juicy result. 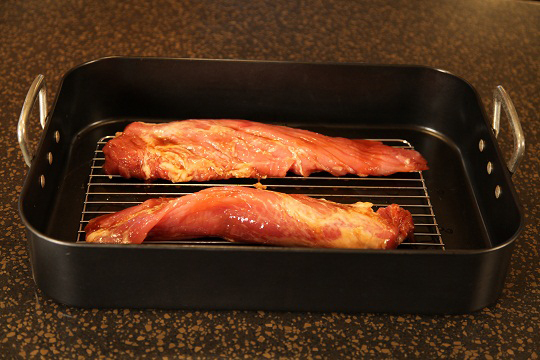 After marinating, place the tenderloins on a rack in a shallow roasting pan and bake. Bourbon Pork Tenderloin is a real taste of the South! 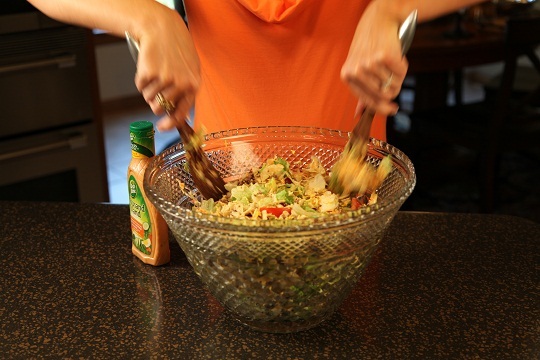 Summer is in full swing and what better time for a main dish salad! 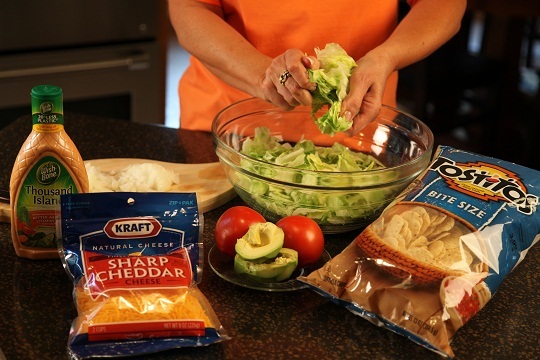 I’m making this for lunch – it’s quick and easy and really good! 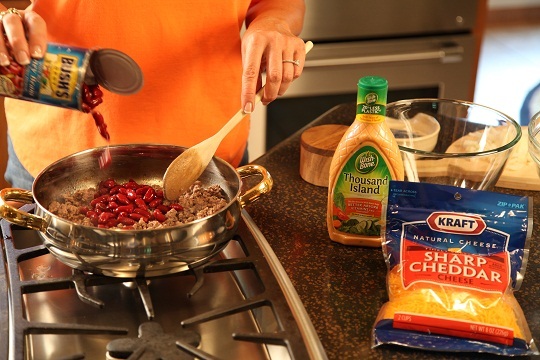 Crumble and cook the ground beef in a skillet until done. Add the drained dark red kidney beans and the salt. Simmer 10 minutes. 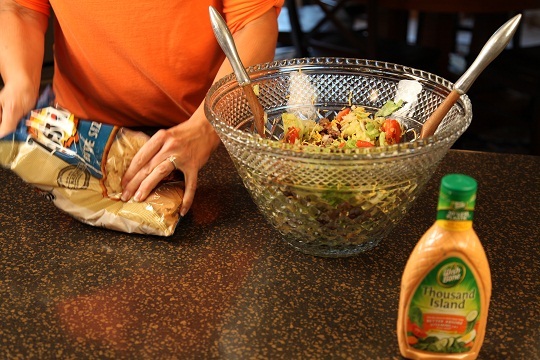 Drain any excess fat and refrigerate until you are ready to assemble the salad. 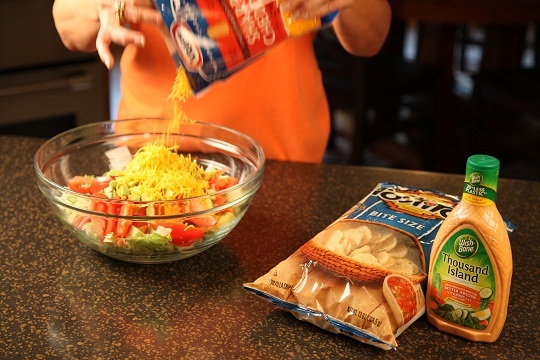 Toss together the chopped onion, chopped lettuce, tomato wedges, diced avocado and shredded Cheddar cheese. 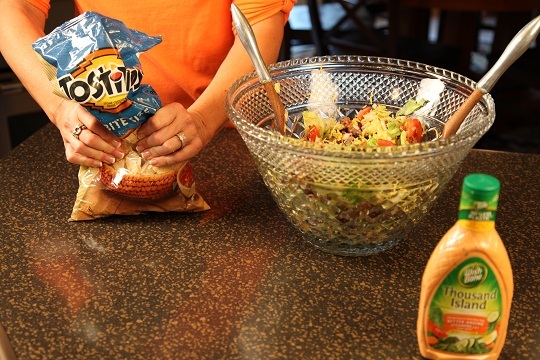 Refrigerate until you are ready to assemble the salad. Crush small bag of tortilla chips. 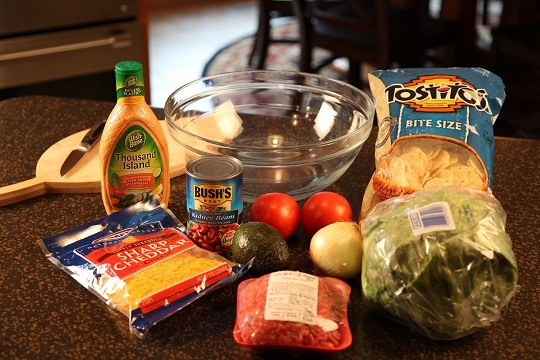 At serving time, toss together the meat and bean mixture, the lettuce mixture and the Thousand Island Dressing. 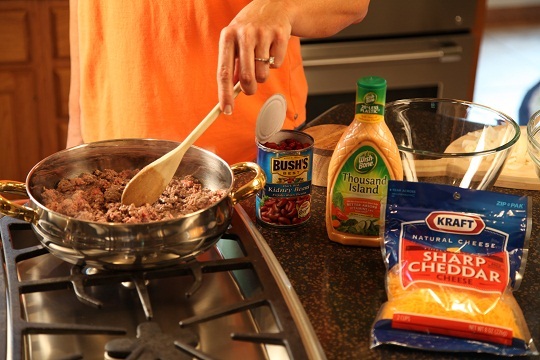 Crumble and cook ground beef in skillet until done. Add drained dark red kidney beans and salt. Simmer 10 minutes. 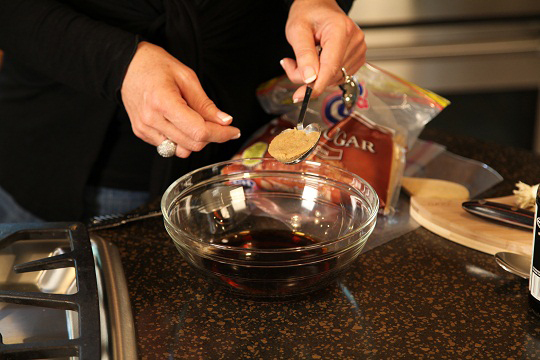 Drain any excess fat and refrigerate until you are ready to assemble the salad. 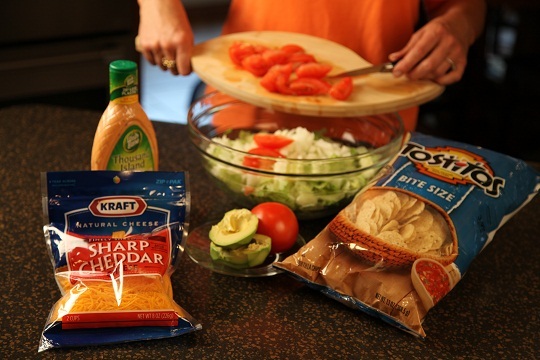 Toss together the chopped onion, chopped or torn lettuce, tomato wedges, diced avocado and shredded Cheddar cheese. Refrigerate until you are ready to assemble the salad. 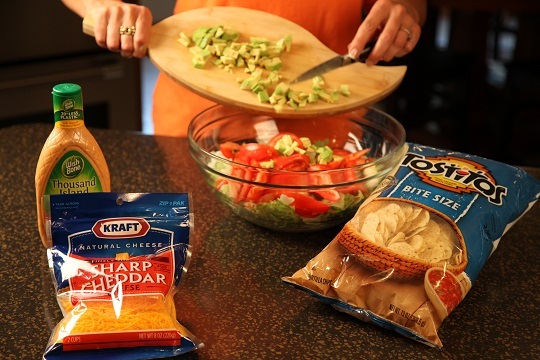 When ready to serve, crush a small bag of tortilla chips and combine with the meat and bean mixture and the lettuce mixture. 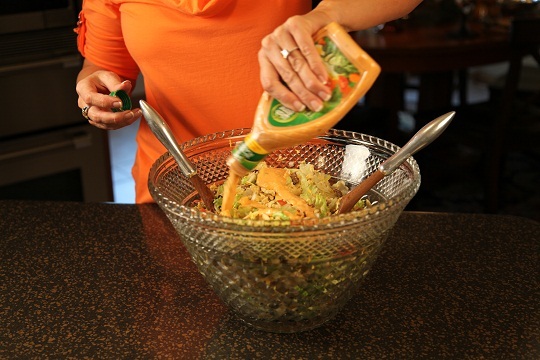 Pour the Thousand Island dressing over the salad and toss.